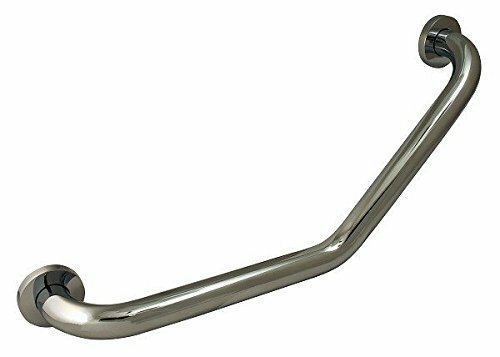 Plumb Pak's grab bar 18-inch is an Angled reversible grab bar constructed of 18 gauge (.049) tubing with. Polished chrome finish. Includes (2) 3-inch flange covers, (6) 2-inch stainless steel screws.